View real-time usage of CPU and memory"
The CPU makes all the math calculations. This is the brain behind any functioning of a computer system. Any malfunctioning of the processing unit is a crash on the entire system this is the time you now need a tool that makes sure that you are able to check the functioning of the CPU. Some of the areas that the tool checks include the temperature levels, the core processor, usage on the RAM and ROM, CPU name vendor icons usage of the processor among others. This is the tool that is ideal to make sure that you are able to detect any malfunction when it comes to the usage of the central processing unit. 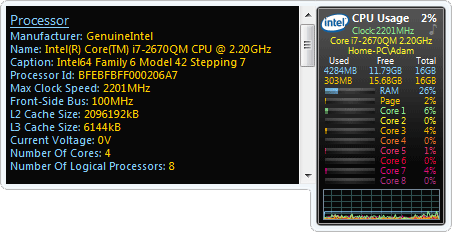 In fact, without a good CPU, even the processing speed of your computer is compromised. All you need is to make sure that you are able to manage all the processing functions of the same in just a few clicks of a button. Depending on the operating system, this is a tool that is ideal for all users despite the level of experience. Your work is just to keep watch and use the help file available on the interface to make sure you are able to check on the functioning of the system. 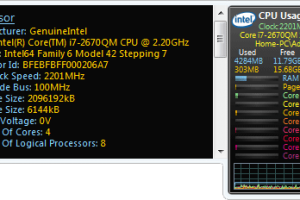 All CPU Meter is licensed as freeware for PC or laptop with Windows 32 bit and 64 bit operating system. It is in system utilities category and is available to all software users as a free download.